Questions? Contact us to learn more about our storage options. Click here to reserve your indoor RV storage space online now! Certified RV technician on staff to help maintain your RV or trailer. 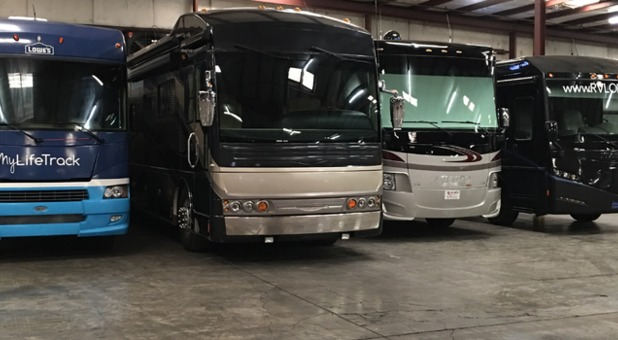 We provide RV storage services for residents of the greater Atlanta area, including Marietta, Kennesaw, Acworth, Woodstock, Alpharetta, and Roswell. Our facility is just north of the North Marietta Loop, right off Cobb Parkway. We’re just next to I-75, which is convenient for getting on the road quickly. Visit us today to discuss convenient storage solutions for your RV! Just bought an RV? Keep it in mint condition at our indoor, climate-controlled facility. In addition to getting more driveway space, storing your RV with us will keep it looking and running brand new for years to come. Our facility is temperature controlled, so your RV will be protected from extreme weather conditions that can damage your vehicle over time. The maintenance on your RV is important to keeping it in excellent condition. That’s why we offer a full range of services to help make your vehicle last. Contact us today for a quote!